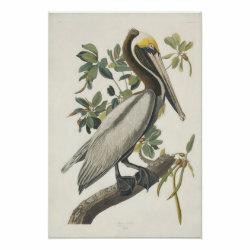 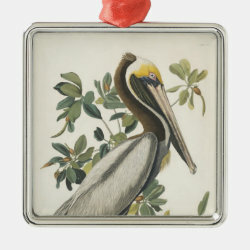 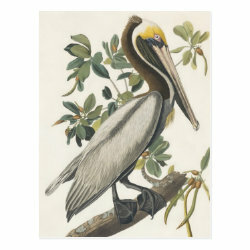 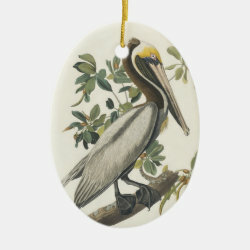 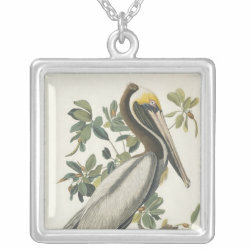 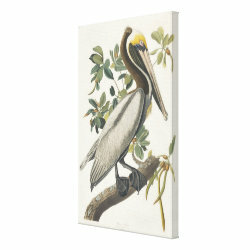 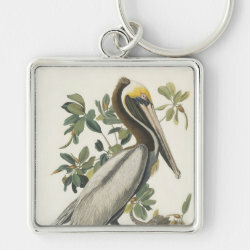 A beautiful Brown Pelican is featured in this reproduced art painting by John James Audubon. 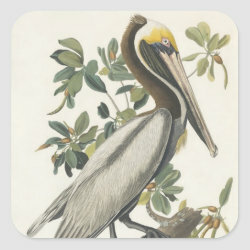 The bird was painted life-sized for Audubon's masterwork Birds of America. Here the adult bird in breeding plumage perches on a mangrove tree.